Lila completed an Education degree at the University of Technology Sydney in 1998, and has been teaching yoga since 2005. After spending 2.5 years deeply immersed in the yogic lifestyle as a volunteer in a yoga ashram, from 2008 onwards she has been working full time as a yoga teacher trainer in Byron Bay [Certificate IV in Yoga Teaching, RYT-500, Cert IV in Training and Assessment]. She completed Pre/Postnatal Yoga training with Bliss Baby Yoga in 2012, and now also is a regular presenter on their courses. After becoming a mother, Lila completed a Kid's Yoga teacher training with Zenergy Yoga in 2014 and occasionally teaches Mum's and Bubs, Mum's and Toddlers and Kid's yoga classes in the Byron Shire. Damodar is the Krishna Village General Manager and oversees all the different aspects of our retreat center and volunteer program. Originally from Italy, he came to the Krishna Village in early 2016 to complete his own Yoga Teacher Training and – like we all did – fell in love with the place and the people. With his degree in agricultural and environmental studies and extensive management experience, running the ISKCON Villa Vrindavana in Florence (Italy) for one year, he has been a great addition to the crew. Damodar loves spending time with the Krishna Farm cows and has a keen eye for landscaping and aesthetics. Whenever he has a bit of time on his hands, he improves upon the Krishna Village flair by adding flower garden beds, succulents, greenery or finds a talented volunteer artist to create beautiful signs or wooden ornaments. Radha is a true global citizen and has worked and lived in Germany, the USA, the UK, France, New Zealand and Australia. So wherever our guests come from or whichever languages they speak, they'll feel right at home with her. As Krishna Village's receptionist she will look after you and make sure you feel at home. Her background in counselling and her years growing up in the Bhakti tradition also allow her to answer any questions you might have about the farm and our spiritual path. Her team members appreciate her for her kindness, open ears and arms. And, not to forget, for the epic birthday cakes she makes!!!! Devi is our lovely head chef and Ayurvedic Cooking Course facilitator. She was born into a family of mixed heritage from India and Austria and has had an attraction to the wisdom of both cultures throughout her life. Born and raised in Brazil, our head gardener Thiago is a Syntropic farming pioneer. It is his personal mission to help spread the knowledge of this unique farming system and teach farmers and backyard gardeners to apply the principles in different regions and climates around Australia and the world. Michael is a Yogic Science teacher by day and writer by night. At 17, while studying Maths, Physics & Business, he was noticed by Young Enterprise after joint-founding a company that personalised gifts in London. It won a Future100 award for ethical and environmentally-friendly business. At university he met a student of the mentor of both Muhammad Ali and Nelson Mandela who exposed him to the spiritual path of Bhakti-yoga. After graduating from Cass Business School and trading for a global bank, he decided to explore the wisdom of yoga further. Having been to India 9 times in the last 6 years to study the secrets of Indic wisdom texts like the Bhagavad-Gita, he was invited to teach philosophy and host interactive seminars in universities and institutions in places like the UK, Belgium, Netherlands, Nigeria, India, Australia & NZ from 2010. Originally from India, our team member Bharat has made it his purpose to make people feel welcome and engaged at the Krishna Village and the Krishna Farm at large. His kind and open nature and dry sense of humour allow him to make even complex topics easily understandable and enjoyable to explore. His special pet project are his Krishnafarm Tours where he introduces guests to our Radha Govardhandhari temple and meditation practices and gets them close up with our Sacred Cows for a cuddle and a feed. Ashley is one of the backbones of Krishna Village - with her team, she has the big task of keeping the whole Krishna Village clean and beautiful every day. Ashley initially joined us as a yoga teacher trainee, but once she was here, we simply couldn’t let her go. With her big smile, calm nature and amazing work ethic Ashley is truly a gem. She has also been a practicing Remedial Therapist since 2013 and specialises in myofascial meridian release using massage and myofascial dry needling. She is part of our Wellness team as well and happy to offer you a treatment during your stay. Originally from the USA, Danielle came to Krishna Village in mid 2018 as a volunteer to deepen her yoga practice and learn more about the Bhakti philosophy. Her big smile and radiant, bubbly nature had the team quickly fall in love with her and when it became clear that she had a solid background in marketing and sales, it became clear that we had to win her over to stay. 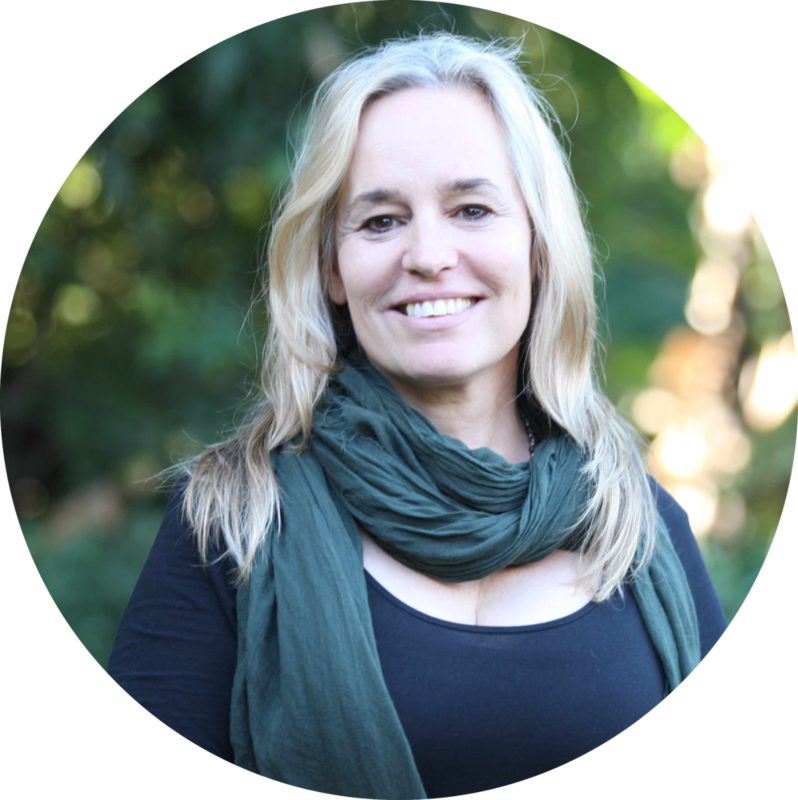 From April 2019 she is taking over the Krishna Village marketing and sales department, as well as the business development role of finding awesome course facilitators to add to the ever growing curriculum of the Krishna Village Centre for Yogic Studies. You can meet her on any given Monday at 11am when she is running the Krishna Village Welcome Tour.